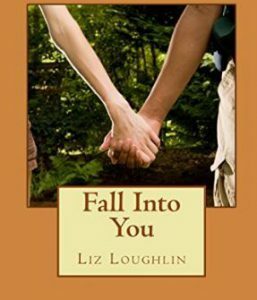 Two major themes in Fall Into You are the power of love and the importance of family. It is a unique love story that addresses difficult issues, while telling readers about the romance between Shea Finnegan, a reserved Catholic attorney, and Khali Reza, the Muslim businessman she falls in love with. Although there are serious themes, there are many light moments as well. I chose the title because the main character, Shea, is rather klutzy. Khali, who is witty and flirtatious, finds humor in her mishaps, and his gentle teasing is funny and affectionate. Khali’s kind, easygoing nature is in stark contrast to Marco Gutierrez, who moves in on Shea when Khali has to return to Pakistan at the end of his one year visa. Marco looks good on paper. He’s Catholic, successful, and seemingly devoted to Shea, but he is a dangerous, manipulative narcissist. The development of his relationship with Shea is meant to be horrifyingly believable. The story spans several years and takes readers from New York to London and Karachi. I am a native New Yorker, and my husband is from London, so those cities were easy to write about. We are avid hikers and spend a great deal of time in Woodstock, where the Finnegans have their country home in the book. My love of that quirky, unique town should be evident to readers. I have never been to Pakistan, but I am fascinated by it. I enjoyed learning about the city of Karachi through my research, and I hope to someday be one of the tourists that ride camels on the beach in Clifton. I read countless articles about Pakistani culture and traditions, and pinned many of them to my Pinterest inspiration board for Fall Into You. Seeing the beautiful calligraphy art created by Pakistani artists inspired the scene where Khali goes to the exhibit at the Clifton Gallery where the character Zara works. The Finnegan family is a strong, tight knit and loyal group. I had so much fun writing the dialogue at their family gatherings, and it made me so happy to see reviews praising the character development and the depiction of their bonds. Pieces of the characters are inspired by people I am lucky enough to call my friends and family, and I am grateful for their support every day.